This is the home page of the Upper Perkiomen office of TriValley Primary Care. Welcome! What's here? Above, you may click on the names of the providers and reach their web pages. There are directions and a map to find us. And, you may use the blue buttons to request the services shown. Below, there are several topics that describe the many services the physicians and staff of this office provide and how you can best access them. Finally, there is a link to Practice Topics which are several topics covering matters that are common to all the TriValley offices and our patients. The other tabs (at the top) feature topics which describe the services we provide and certain attributes and characteristics of this office. Please click on the topic of your choice. First time visitors are encouraged to read the Welcome page. Please come back often as the content may change. Navigation Note: To return to this page, click on the Home tab. Welcome to the Upper Perkiomen Office of TriValley Primary Care! The physicians and our staff are committed to offering you competent, caring medical services in a setting that is comfortable and convenient. Our office is committed to serving as the advocate of our patients in all health-related matters, including appropriate use of community health resources and the appropriate referral to other specialists and to therapists and to facilities. Our physicians are trained to care for your entire family, from prenatal and newborns, children and adolescents to adults and seniors. The family practitioner oversees each aspect of the patient's care, both preventive and curative in the fields of pediatrics, adolescent and adult medicine, sports medicine, gynecology, health counseling, preventive care, and geriatrics. Two of our physicians do all of the above, except for pediatrics. We are accepting new patients. If you like how you are treated, please tell your family, friends and neighbors. Like you, we must adhere to insurance company rules, so we ask that you be prepared to pay any co-payments due at the time of service, and that you understand that there are some services that we are barred from providing to you even though we are trained to do them. Our services are available by appointment. However, if you are sick during our regular office hours, please call the office and let the scheduler know you are sick. We will try to see you that same day. A physician is available 24 hours each day to address your urgent medical needs that cannot wait until the office re-opens. Providers in this office have a long tenure in this community and have enjoyed long term relationships with our patients. We strive at every visit to exceed your expectations for office based primary care services. Our physicians are beholden to no one but their patients for the services they provide. Our providers are board certified in their specialty and maintain that certification through continuing medical education of not less than 50 hours per year. Our physicians are on staff at select hospitals, nursing homes and retirement communities and provide services for hospice patients in the area. As a patient advocate, we would like to know your experience or that of a loved one with these facilities. Please tell your provider or one of the staff. If you are dissatisfied with our services or the manner in which you are treated, we want to know how we fell short of your expectations. Your compliments and suggestions are always welcome. Please tell your provider or one of the staff. There is also an electronic means (Feedback) on this website to provide your comments and suggestions to us. We invite you to review these Office Topics to familiarize yourself with office policies and our capabilities and services. We look forward to serving you. Again, welcome to our office, and welcome to TriValley Primary Care! Medical office visits are by appointment. Please note that appointments may be restricted to certain hours within the schedule above. You may stop in to discuss a bill, drop off forms, etc. The office may change hours without notice, and may close early or open later at any time (for example, due to inclement weather). If you do not have an appointment, and you do not have your own transportation, please call ahead to see if the office is/will be open. Also, please see the Appointments tab and the How to Reach Us tab. Office visits are by appointment so that we can better serve you. The appointment phone lines are open at 9:00 AM. Please call at or after this time to schedule an appointment. Patient Portal: You may request an appointment at any time via the Patient Portal. Please see the Patient Portal Guide for a description of the appointment types currently accepted via this method. You may also view upcoming and previous appointments. If calling the office, please let the scheduler know why you want the appointment (follow-up, physical exam, routine check-up, immunizations, pre-operative exam, Pap test, symptoms of______, having trouble with ___, would like the doctor to look at ____, etc.). Same day appointments: If you are sick, please let the scheduler know. We will try to see you that same day or as soon as we can. Please arrive on time for your appointment. New patients are requested to arrive 15 minutes prior to their scheduled time. Please bring your insurance card with you, and funds for your co-payment/co-insurance. Also, please bring any forms that you need completed with you. And, bring your medication bottles for drugs and over the counter medications you are currently taking. Please remember to state your prescription status ("I need a refill") during that visit. Two days in advance of the appointment, you will receive an automated (computer generated) telephone call reminding you of the appointment. This is a courtesy call. Cancellations and Rescheduling: If you cannot keep an appointment, please notify us as soon as possible. Phone: (215) 679-9321. Please note that there is a charge for failure to cancel an appointment in advance. As your personal physicians, we are able to care for most of your medical problems and those of your entire family. • routine health care for all ages, including periodic physical exams, cancer screening, laboratory testing, etc. • Special services such as pre-employment physicals; sports, driver's and school physicals, Executive physicals; and sports medicine services are also available. Please ask a provider if there is a service that you don't see here. In addition to the above services, DXA Bone Scan services (for Medicare patients) are available at other TriValley Offices. Laser Hair Removal is offered at the Lower Salford office in Harleysville. Our mailing address is the same as our street address, given on the office Home tab. Telephone access is by our main number: (215) 679-9321 You may key this 24 hours per day, each day. Press 1 	If you are a Doctor/Hospital/Nursing Home/Pharmacy or calling from a doctor's office. Press 2 	To schedule a sick visit for today or this week. Press 3 	To cancel an appointment, to schedule a routine office visit, physical exam or for general office questions. Press 4 	To reach the prescription refill line. Press 5 	To reach the insurance referral line. If you do not have a touch tone line, you may stay on the line and someone will pick up. You may telephone our office whenever you have a question about your health, your care, your medication or other health related subjects. Often, one of our nurses can answer all of your questions. You may be asked to come in, so that your condition can be treated effectively. As to other methods of reaching us, you may request a referral or a prescription refill or an appointment, as well as leave routine NON-URGENT messages for the office staff via the Patient Portal. These requests and messages are handled by TriValley staff that have access to your medical information. There are several advantages to using the Patient Portal including speed and accuracy of providing the information, and the improved routing and response time. Plus your information is stored with your other medical data. The office can accept facsimile (fax) transmission, but these are usually accepted at the suggestion of the office staff. Inclement Weather: If the area experiences severe weather (primarily, snow and ice accumulation on roads), the office may open later, or may close for the day. Please call the main telephone number, given above, to check if the scheduled office hours have been affected due to weather. Also, please see the After Hours and Urgent Care tab and the Appointments tab. A physician is on call 24 hours each day to address urgent medical needs that cannot wait until regular office hours. If the office is closed, the answering service will take your information and contact the physician on duty who will return your call and provide instructions as to what to do, as appropriate. If you need to cancel an appointment, the answering service is authorized to take this message. If you have a pressing medical condition during scheduled hours, our office is equipped to handle minor injuries, lacerations, asthma attacks and other urgent problems. Please call the office and describe what your condition or symptoms are. If your condition is urgent, then you'll be seen or referred for proper care. However, if a medical emergency should arise, please go quickly to the nearest hospital emergency department or call 911 immediately. For certain medications, and for certain situations, such as if the patient has not been seen by a TriValley provider within a year, you may be asked to make an appointment to be seen before that medication is refilled. In general you must be seen in the office if your prescription is more than a year old. There are three ways to renew a prescription. 2. Telephone your renewal request into the office, from 9AM until 3PM, Monday through Friday: 215-679-9321. Follow the instructions given. 3. Your pharmacy may call in (or submit via electronic means) a renewal request to us on your behalf (not for same day service). If you use the first or second method, please refer to the medication bottle for needed information. Our office will call you only if there is a need for you to pick up the script (rarely, except for a narcotic), or to request that you make an appointment before the refill will be considered, or if the information submitted is incomplete or there is a question or issue regarding it. Local pharmacy: Please call the pharmacy to make sure the drugs are ready for pick-up. Please allow 48 hours for the prescription renewal request to be processed. Renewals are not processed on weekends or holidays. In most cases the renewal will be sent electronically to the pharmacy or pharmacy benefits manager. Note: With today's technology linking providers, pharmacies and data depositories, picking up a written script is rarely needed, except for a narcotic. Tip: Please bring all of your medication bottles - both prescription and over the counter - with you to every appointment. Also, please remember to mention any prescriptions needed at the time of your office visit. We can take care of them very easily at that time. * Making your request for your prescription renewals online via the Patient Portal has the advantage that you can see the current medications you are taking and therefore reorder the correct item and dosage, etc. Some managed care plans require referrals to be issued before visiting another specialist physician, therapist, or for certain services at a facility (for example, hospital or imaging center). Your problem or condition should be evaluated first by your primary care doctor. Once referred, the specialist doctor may want to see you back for a follow-up visit. Referral policies are detailed in a separate brochure available in the office or by reviewing the Managed Care topic in the Practice Topics selection on the Our Practice page. Telephone number where you may be reached. Please allow 48 hours for the referral request to be processed. Referrals are not processed on weekends or holidays. In most cases the referral will be sent electronically to the specialist or facility. But certain insurance plans require that you pick up the completed form from our office. The doctors in this office are affiliated with the following hospitals in the region. Note: Web links (URLs) to the facilities are available on the Our Community page (via the MAIN button, above). While not actively managing hospitalized patients, your TriValley doctor will be involved in the coordination of care and will work with other specialists on the hospital staff to assist with diagnosis and treatment and follow-up care. If you are admitted to the hospital as an emergency, we ask that you notify our office as soon as possible, so we can coordinate your follow up care. It is helpful if you or a family member give the name of your TriValley doctor to the hospital staff during the admission process. This will enable us to receive prompt notice of your admission and your discharge and discharge instructions. When you are discharged, we will get a report summarizing the care you received, and what medications you have been prescribed. In most cases, we will provide the majority of your follow up care. We visit patients at these facilities and direct their medical care by communicating with the administrators, therapists and nurses who provide the care. In a Skilled Nursing Facility, whether for long term care or short term rehabilitation, physicians will see patients shortly after admission, once every 1-2 months for routine check-ups, and as needed. TriValley has two Nurse Practitioners specializing in the care of geriatric patients, who assist us on a daily basis at some of these Nursing Homes. Patients in Assisted or Independent Living make appointments with us at our office or, in some cases, at their location. Special Note to Family Members: If you have Power of Attorney over the medical affairs of a loved one, please let this office know so that statements and other communications can be sent appropriately. Health Insurance Portability and Accountability Act of 1996 (HIPAA) applies to patients in nursing home settings. Please see the Patient Forms page in the Practice Topics section (via Link to Practice Topics) to view the Notice of Privacy Practices and complete the Acknowledgment of Receipt of Notice form and the Authorization for the Use and Disclosure of Individually Identifiable Health Information form. Finally, if there are changes in health insurance, please let this office know. Below is descriptive information about the various facility types. With regard to nursing homes and skilled nursing facilities, your TriValley physician works as part of the nursing home team. Your medical care will be furnished by your physician, but much of the supportive and other care will be provided by either nursing home staff or via services arranged by the nursing home. Unlike a hospital where a physician visit may be once or twice daily, your physician will see the patient based on a care plan that is tailored to the patient's needs and usually calls for visits no more than every other week, or once a month. A TriValley Certified Registered Nurse Practitioner may see the patient on a routine basis in collaboration with your physician. A TriValley nurse practitioner is a master's prepared (Master of Nursing), registered nurse licensed by the Commonwealth of Pennsylvania to deliver much of the same care as your physician. A nurse practitioner may see the patient first after admission to do an assessment and take care of any immediate medical needs. Your physician will then see you, and prepare a plan of care. Many Assisted Living and Continuing Care Retirement Communities have onsite exam rooms that you can see your physician there rather than coming to the physician's office. Physicians in this office coordinate patient care with hospice agencies. In most cases, patients select hospice care as part of discharge planning in other facilities. However, please feel free to discuss the issue with your TriValley physician as the need arises. "The patient and family should feel free to discuss hospice care at any time with their physician, other health care professionals, clergy or friends." "To find the best hospice for your needs, ask your doctor, healthcare professionals, clergy, social workers or friends who have received care for a family member. You may want to call or meet with the hospices and ask questions about their services." Even if the patient's TriValley physician isn't actively caring for the hospice patient, the hospice will normally contact TriValley to see if the physician agrees that patient is a suitable candidate for hospice. Family practitioners are trained to provide health care and treatment for newborn children. Services include care in select hospital nurseries. At this office, Drs Shuhler and Gerstberger provide hospital newborn nursery services at Grand View Hospital. An expectant mother may request that her family physician care for her newborn child in the nursery as part of the hospital pre-registration process. Please discuss this with your TriValley physician. Services include the medical management of the baby while in the nursery, as well as a newborn exam in hospital daily. In-office care is provided the baby at 2 weeks and 4 weeks; and at regular intervals per the physicians instructions thereafter; then, annually beginning at age 2. TriValley has prepared a booklet that provides advice on newborn care entitled, "Handbook for Parents: The Second Nine Months"*. If it isn't provided to you when your baby is in the nursery, please ask the office to provide it to you on your next office visit with your infant. *Fun fact: This booklet predates the founding of TriValley Primary Care. It was developed by physicians of Indian Valley Family Practice in Hilltown Township, which became the Indian Valley office of TriValley Primary Care in 1995. Lori Rousche, MD was the principal author. It has been updated over the years as new information has become available. Dr Blue performs endometrial biopsies on Women who have experienced post menopausal bleeding. These biopsies are usually scheduled after a thorough pelvic exam and ultrasound have been completed. Atypical results are then evaluated and the patient may be referred to a GYN surgeon who will perform the next appropriate procedure. In addition, TriValley's DXA Bone scan service is an important diagnostic service for some women. TriValley Primary Care can submit claims for DXA scans for Medicare patients. Medicare will cover DXA scans for patients at risk for osteoporosis, including post-menopausal women (and certain men) who may also be at risk for osteoporosis every two years. Please click on the link above to learn more. The transfer of patient medical records falls under the Health Insurance Portability and Accountability Act of 1996 (HIPAA) rules. As such, the process must be done correctly and by the correct party. When a patient requests the transfer of medical records, the request must be in writing and include the practice name, name of doctor, address and phone number where the records are currently maintained (if transferring records into this office) or where they are to be transferred to when transferring records from this office. 2. Click here and download the enclosed Transfer In form. Send this form to the office where your records currently reside and request them to transfer those records to TriValley Primary Care. Please use the address at the top of this page as the place to send them. If you would like to transfer your records out from TriValley Primary Care to another physician, please use our Authorization for Release of Medical Records (Records Out). Click here to download a copy of that form. Please complete both sides of the form in full. Once the form is complete, you may drop it off at our office or mail it to our office (address at the top of this page). You'll be asked why you are transferring. Please tell us why you are making the change. Thank you. The Upper Perkiomen office is located in Pennsburg Borough, Montgomery County and in the Upper Perkiomen School District. This feature describes some of the activities the physicians and staff of this office are involved in to make it a better community. A section, below, explains this office's role in training of medical students/residents and other healthcare students. In addition, there is a section showing the hospitals and nursing homes and assisted living/retirement communities with which our providers frequently interact. The physicians and staff have had an extended involvement with the people, businesses, and services of this community. We benefit from, and greatly appreciate, the governmental, commercial, educational, artistic, cultural and other societal services and resources in this area and region. We are happy to live and work here, and to educate and raise our children here. The following are some of the ways in which our physicians and staff have contributed their time, talents and money for the betterment of people and activities in this community and beyond. TriValley PowerWalk/PowerRun which was a fund-raising event held to benefit the Indian Valley Boys & Girls Club in Souderton. Lee National Denim Day is held each fall in which staff members contributing $5 each may wear jeans (denim) to work for the day. The physicians of TriValley Primary Care match the employee donations. The funds raised benefit breast cancer research. Pennridge FISH Organization, Inc., a local charitable entity that provides a food bank, benefits from a canned food drive held by TriValley each fall. Upper Perk YMCA: TriValley's Upper Perkiomen Office participates in the YMCA's annual 5k run and fun walk. The office staff and providers form a team and together contribute their registration fees for the event, which benefits the scholarship fund of the Upper Perk YMCA. Temple University School of Medicine (medical students) by Drs. Blue and Shuhler. Note: Links to the following are available on the Our Community page (via the MAIN button, above). Physicians in this office have clinical privileges with several hospices. They also have direct involvement with home health and visiting nurse organizations. This is a brief overview of the office, both as a facility and regarding its provider staff. Those of you who have been in the area for some time may recognize some familiar names from the past. Note: details regarding current TriValley providers are provided on their web pages. The Upper Perkiomen office was formed in September 1999 with the merger of four formerly solo practices in the Pennsburg/East Greenville area. These physicians joined TriValley Primary Care forming the Upper Perkiomen office. * Priscilla Kistler, MD began practice in East Greenville, PA in 1985, assuming the medical practice started by her late father, William Kistler, MD. Her practice was located at 300 Main Street, East Greenville. * Henry Kneidinger, DO began practicing in Pennsburg in 1976 when he assumed the general adult and adolescent medicine practice of Thomas Bonekemper, MD at Fifth & Penn Streets. In 1981, Steven Karp, DO joined the practice as an associate, and in 1985 they assumed the general family practice of Robert Maglieri, DO, when he retired. In the early 1980s, Dr. Kneidinger was one of the local professionals who developed the Seventh Street Medical Center in Pennsburg. The Kneidinger/Karp practice moved into the new Medical Center in 1987. In 1989, after completing his psychiatry residency, Dr. Karp relocated to Geisinger Medical Center in Danville, PA to practice psychiatry. Prior to joining TriValley, Dr. Kneidingers practice was in Suite 2E, Seventh Street Medical Center. * Norbert Leska, MD started a solo practice in general internal medicine in Pennsburg (502 Pottstown Avenue) in 1979. In 1987, he relocated to the Seventh Street Medical Center. Prior to joining TriValley, his practice, Norbert W. Leska, MD, PC, was located in Suite 2A, Seventh Street Medical Center. * Phyllis Shuhler, MD began a private practice in family medicine in Pennsburg in 1982 (Route 663 and Geryville Pike). In 1993, she relocated to the Seventh Street Medical Center. Prior to joining TriValley, her practice, Phyllis M. Shuhler, MD, PC, was located in Suite 2C, Seventh Street Medical Center. In the fall of 1999, Suites 2C, 2D, and 2E of the Seventh Street Medical Center,. 101 W. Seventh Street, Pennsburg, were physically combined and renovated to accommodate a unified office of 4 providers around a central support core. 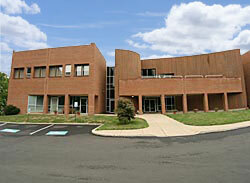 The Upper Perkiomen offices address became Suite 2C, Seventh Street Medical Center, 101 W. Seventh Street, Pennsburg. In 2002, the suite was expanded, this time with a portion of Suite 2B finished for patient and office space. In September 2002, Elaine S. A. Blue, MD joined the office upon completing her residency program. Dr Kistler retired at the end of June, 2008. Matthew Gerstberger, MD joined the office in July 2008 after completing his residency program. Andrew Buck, MSN, C.R.N.P. joined the office after completing his nurse practitioner master's degree program. At the end of July 2013, Dr. Kneidinger retired. The terms and policies detailed in the Vendor Guide that is provided in the Practice Topics section (via Link to Practice Topics tab) applies to this office. In this office, detail visits by Pharma reps are coordinated by the front office staff. If you want to schedule a presentation with an in-office lunch, please ask to speak with the office staff to schedule a meeting date. Please note: This office only schedules lunch meetings on Fridays. Delivery or inventorying of drug samples may be done during regular office hours without an appointment. Access to the sample storage area (room) is not permitted. You are reminded that no solicitation calls will be accepted, and that the Postal Service is an excellent means to provide an introductory letter. The link to the Practice Topics is provided as a convenience. Practice Topics include features and policies that are common among the offices of the TriValley Primary Care medical group practice. Practice Topics (on the Our Practice page) may be reached via this link (click here). This tab describes this office's availability to provide employee physicals, workers' compensation services, and DOT examinations. Note: As stated below, this office provides examination services for personal motor vehicle operator licensing. To schedule employee physicals and health assessments for your employees, simply contact the office or speak with a TriValley physician and describe what you need. We will work with you to meet your needs. Employers may contract for other occupational health and employment related services. Please note that none of these employer and occupational type services will be submitted as a claim under a patient's health insurance plan as they will be rejected by the insurer as a non-covered service. Either the employer or the employee must arrange payment for these services. TriValley is quite willing to contract with employers for these services, but will also accept an employer's guarantee of payment in writing. Workers' compensation services are available from this office for our established patients. Please note that TriValley does not contract with insurers paying less than Commonwealth mandated workers' compensation rates. This office does not provide Department of Transportation (DOT) physical qualification examinations of commercial motor vehicle drivers nor issue related medical certificates. However, the following offices have fully licensed providers to furnish these services: Lower Salford, Lansdale, and Western Bucks. Please note that providers in this office provide examination services for personal motor vehicle operator licensing purposes.